Every serious genealogy researcher should be intimately familiar with the FamilySearch.org website. They provide free access to one of the largest record collections on the planet. This is the first place many researchers go to search for family records. The Mormons at the Church of Jesus Christ of Latter-day Saints, in support of their religious beliefs, have been collecting and digitizing genealogy records for decades. They have invested tremendous amounts of money and human capital into building the world’s largest collection of genealogical resources and a global network of research centers. You can take advantage of this incredible resource by using the website’s powerful search capability to search for records using name, location or other identifying details. 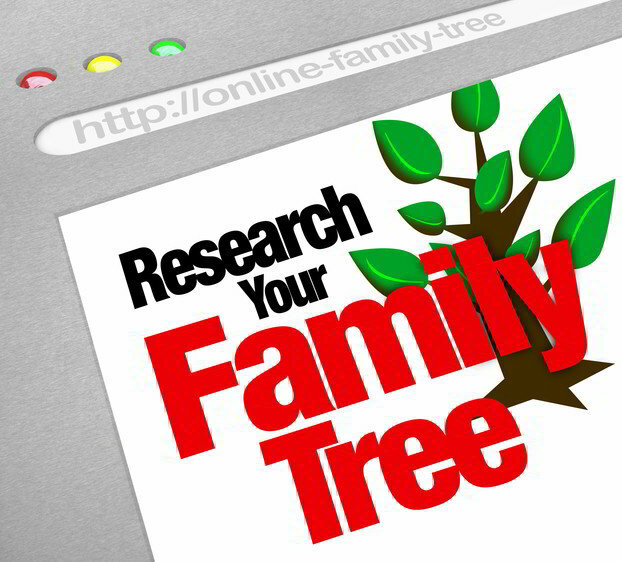 If you go on the FamilySearch website and create a free user id, you can create your own family tree and take advantage of record hints. These are links to records that have a high probability of matching your family tree member. The only thing better than free access to a massive record collection is having free research done on your behalf! Hints are likely to surface records you didn’t even know existed and wouldn’t have known to look for. Cyndi’s List is a categorized and cross-referenced index to genealogical resources on the Internet created by genealogist Cyndi Ingle more than 20 years ago. Over the years, the number of links has ballooned to more than 330,000. The Internet has been likened to a library which has its books strewn all over the floor. I think this is a very apt description of the Internet as we know it today. Cyndi’s List serves the function of being a card catalog index of available genealogy websites. Kind of like a Dewey Decimal index of genealogical sites on the web. Cyndi’s List can provide you with an incredible array of genealogy websites you never imagined existed. You will likely have to wade through numerous bad links and outdated websites to find the really good stuff. I must admit that I have spent countless hours aimlessly surfing the almost inexhaustible ocean of links on this site. It is kind of like the kid in a candy store scenario for those with a curious mind, large appetite for knowledge and a lack of focus. The trick to using this website effectively is knowing when to use it. A much more effective way of using Cyndi’s List is as a reference for times when you are stuck on a research problem and looking for fresh leads to follow. Having a clear objective in mind will keep you focused on finding exactly what you need. Most non-professional genealogists seem to have a mental block when it comes to creating source citations for their genealogy data. Even though source citations are a critical part of their family research, many researchers just do not create them. Maybe citations produce fear inducing flashbacks to writing high school research papers or just indicate a lack in formal training. Whatever the reason, there is a website called Citation Machine that can help you with this dreaded task. From the site’s homepage you must first choose a style for your citation. I generally choose the Chicago Manual of Style. Then search for your resource (book, magazine, newspaper, website, journal, film or other) and Citation Machine attempts to find a listing for it. Once located, you get a chance to fill in any missing information before the citation is created. Although Google tools were not built specifically for genealogy purposes, they can add a lot of value to one’s genealogy research. Google Maps provides the capability of finding an address of interest anywhere in the world. Most people use Google Maps to locate a street address on a map, but this same tool can be utilized to virtually walk in the footsteps of your ancestors. Suppose you locate your ancestor’s street address from a death certificate. Google Maps can help you pinpoint that address on a map. The Street View feature lets you see what it looks like as if you were walking down the street. Now visualize yourself strolling down your ancestor’s street and stopping in front of their home to see how it looks today. It is kind of like a personalized tour of your family history (assuming the original house was never torn down). Google Earth is a perfect companion to Google Maps, but provides a satellite view of the location. Imagine getting a bird’s eye view of your ancestral home town thousands of miles away without even leaving your living room. You can view the old family homestead from above and get a realistic feel for the lay of the land. How is that for a modern marvel? You may have never put much thought into the fact that county boundaries change over time. But in fact, they do change a lot over the years. When researching family records by county, you may have trouble finding a record in the county they resided because of boundary changes made back in the day. This situation can result in endless frustration and wasted research effort. The Newberry Atlas of Historical County Boundaries website can be an invaluable help in these situations to sort out county boundary changes. On the site, click the state you are searching in, then click “View Interactive Map” and choose a date from the dropdown list reflecting the time-period of the record. The result is a visual map of county boundaries as they were during the time your ancestors lived there. It should be clear from the map what county you need to target with your research. As you can see, there are some really good genealogy websites out there if you know where to look. Each of the featured genealogy websites has something special to offer genealogists looking to increase the effectiveness of their family research.